The full specification sheet for the BMW's most luxurious SUV has been leaked after someone obtained a VIN number. As the largest and most luxurious vehicle BMW has ever produced, the production version of the upcoming three-row X7 has a lot to live up to following the reveal of the outlandish X7 iPerformance Concept. Not long after BMW announced that pre-production of the X7 has commenced at its Spartanburg plant for testing, technical specifications for the super-sized SUV have leaked after someone obtained the VIN number of an X7 built last month. Running it through Bimmer.Work's VIN decoder revealed the full specification list for the xDrive50i. 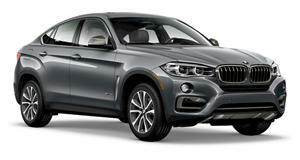 Powered by a 4.4-liter twin-turbo V8, the xDrive50i will likely be the most popular X7 variant according to BMWBlog. Thanks to the leaked specification sheet, we now know that the X7's V8 unit will produce 455 hp. That’s a surprising amount of power for a non-M powered BMW SUV. The engine is mated to an eight-speed automatic and power is sent to all four wheels via BMW’s xDrive system. Looking through the extensive list of standard and optional equipment, the X7 was fitted with 22-inch alloy wheels, finished in Alpine White and featured an off-road package. There’s also an option for an M Sport Differential. It’s worth noting that no other BMW with X-Drive has featured a limited slip differential apart from the new M5, so it’s possible that the X7 will either have an all-wheel drive system similar to the M5 or be offered in rear-wheel drive. Other extras on the options list include a panoramic sunroof, a five-zone automatic climate control system, rear-seat entertainment, night vision, a head-up display, and a Harman-Kardon sound system. Being BMW’s most opulent SUV to date, it’s not surprising to see that the X7 will be generously equipped. We still have a long time to wait for the X7, though, as it won’t be launched until the end of next year where it will be competing against the equally lavish Rolls-Royce Cullinan SUV.